완전 초여름 날씨가 시작된 것 같습니다. 지난달 '만다리나 덕' 화보촬영을 '밀라노'에서 찍었답니다. 따스한 사랑....따스한 웃음을 나눌 수 있는 좋은 사람과 한컷!! 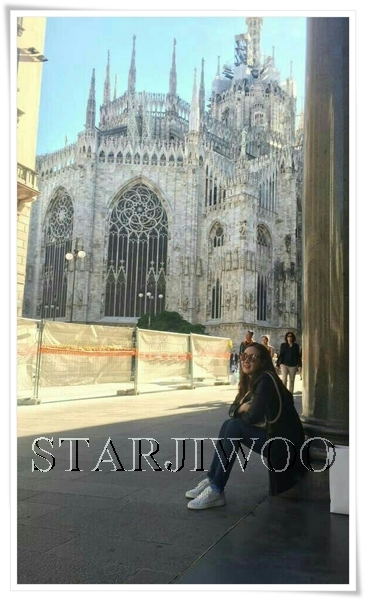 Thank for sharing your beautiful pictures in Milan princess. We missed you so much waiting for your comeback project.Please stay happy and healthy always . We love you so much! 드라마 소식에 기뻤는데 오늘은 또 행사사진이나 지우님 소식을 알수 있어 좋아요. 건강하시구 좋은 작품으로 돌아와주세요~항상 응원합니다!! 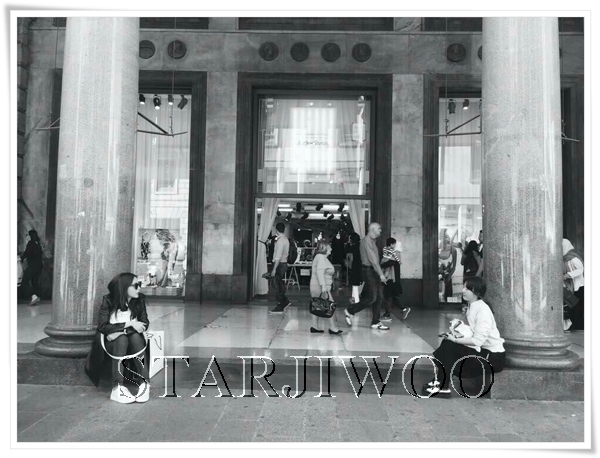 Thank you so much for sharing the photos of your Milan trip. The city does in deed look beautiful. I'm glad you had a good time there. Please take care of yourself. You have worked so hard these past couple of months. Now you deserve a good rest. Please stay happy and healthy. I will always support you. Love you. 지우님도 건강할 것 같아서 무엇보다 다행입니다. 항상 좋은 사람과 함께 할 수 있는것 다행이에요. 정말 기쁜 선물 주셔서 감사합니다~!!!!! Have a good rest, happy travel!! 한결같이 사랑스러운 지우님~ ~ 더 많이 보고싶어요..
Our dearest Ji Woo ! We really do not express how much we love you and admire your hearty devotions to making our best entertaining the great art all over the world. No words can have enough power to describe true happiness in our hearts. Ji Woo is in love forever with faithful fans despite any changeable situations !! Every picture of yours becomes the most beloved in life. 일본도 요즘 5월이라고는 생각되지 않는 듯한 더운 날이 있습니다. 밀라노로부터의 사진이 멋집니다. 지우님도 더 멋집니다! 이탈리아에서 찍은 지우님의 그라비아 사진을 보고 싶습니다. 그건 그렇고 이번은 어떤 지우씨에게 만날 수 있을 것인가? 또 ∼ 만나는 기회가 있으면 ∼ 더욱 좋습니다. 올 하반기 새로운 작품으로 컴백 기다리고 있을게요!! can't wait for your next project miss ji woo. we miss you already. hope you enjoyed your birthday. may this year bring you more happiness & lots of wonderful memories to cherish. Choi Jiwoo, happy new year, good health and good luck!